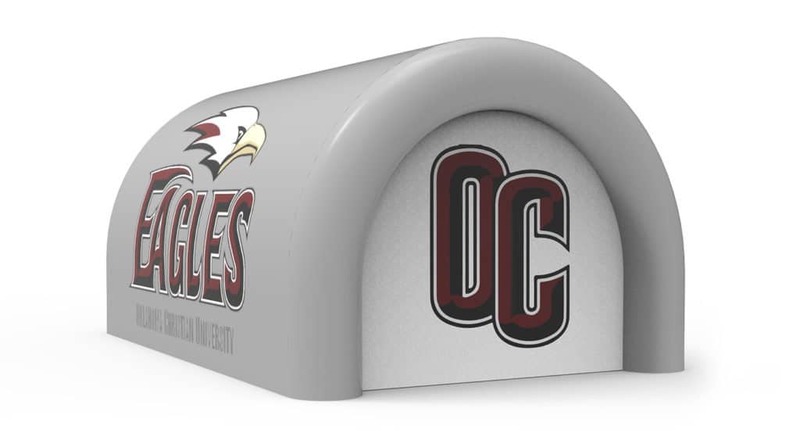 Transform your own inflatable Sports tunnels and Event Entrance Tunnels into a masterpiece and show off your school pride. The inflatable sports entrance tunnels can be fully customized with a variety of sizes, designs, and colors to choose from. All inflatable tunnels are manufactured in the U.S.A with high-quality materials and craftsmanship. Create your unique sports entrance tunnel, today (request a free quote). School and government purchase orders accepted! Inflatable Signs is a full resource manufacturer of custom promotional cold-air inflatables and event signage located in Fort Worth, Texas. © 2019 Inflatable Signs, LLC. - All product names, logos, and brands are property of their respective owners.